Nordson Yestech specializes in automated optical inspection systems. The Member of Technical Staff Sr. Software Engineer is responsible for designing, developing, troubleshooting and debugging software programs and will work on problems of diverse scope where analysis of data requires evaluation of identifiable factors. Develops software tools including operating systems, compilers, routers, networks, utilities, databases and internet related tools. Determines hardware compatibility and/or influences hardware design. Develops and recommends corrective actions. May conduct feasibility studies on new and modified designs. Writes code, completes programming and performs testing and debugging of applications using current programming language (C++, C# and C) and technologies. May interface with users to define system requirements. Requires a BS degree in Electrical Engineering or Computer Science plus 4 – 7 years of experience or equivalent relevant experience with working knowledge of software capabilities. Office environment. To perform this job successfully, an individual must be able to perform each essential duty satisfactorily. The requirements listed above are representative of the knowledge, skill, and/or ability required. Reasonable accommodation may be made to enable individuals with disabilities to perform the essential functions. The employee is regularly required to sit; use hands to finger, handle, or feel; and talk or hear, occasionally required to stand, walk, and reach with hands and arms; requires close vision ability. Noise level is usually moderate. Whatever you do today, Nordson Corporation is likely a part of it. We engineer, manufacture and market differentiated products and systems used for precision dispensing and processing in a variety of end markets, from packaging to transportation and medical to electronics. Founded in 1954, we operate under the values of integrity, respect for people, customer passion, energy and excellence. Nordson is headquartered in Westlake, Ohio, and has direct operations in more than 30 countries to support our products and systems with application expertise and a direct global sales and service organization. 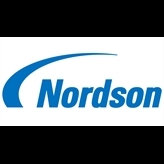 Want to get notified about new jobs at Nordson Corporation ?